Bryan Cranston has not finished with the dark, criminal underworld yet. The Breaking Bad star is to team up with House creator David Shore to create a new crime drama called Sneaky Pete for US network CBS. The plot will follow a thirty-something man who takes cover from his dark past by assuming the identity of a cellmate. “Sneaky Pete” hides out from the mob while working for the cellmate family’s bail bond business, taking down criminals worse than himself. Over time, he discovers a family life he’s never had and possibly the love of a woman who sees through his act. Cranston will co-write and executive produce the project, which has been given the green light by CBS. 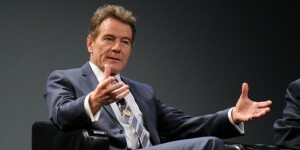 The drama marks Cranston’s second successful venture into TV this year after NBC commissioned his comedy series Dangerous Books For Boys, based on the book by Conn and Hal Iggulden. The series will follow three boys as they use their imagination to navigate growing up without a father. Cranston is also set to reprise his Broadway role playing former US president Lyndon Johnson in new HBO movie All the Way about Kennedy’s successor’s election campaign.